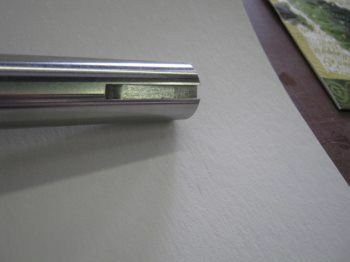 We have a dynamite machinist who can copy any original part. We will likely be able to duplicate or fabricate to your measured drawings whatever you need. We have had him make all sorts of roll drive parts to restore Wurlitzer spool frames and he has also made the main crankshaft for a few Wurlitzer 105 copies. The most recent of those is below. It is not off the shelf but was special made for a craftsman building a 105 copy. 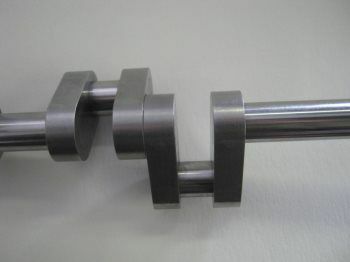 By adding an inch or so to the center shaft it would replace a 145 crankshaft that was missing or damaged. We must have the distance between your pump arms to make sure the lengths are correct. Cranks are pinned, smoothed and polished for a refined manufactured look. 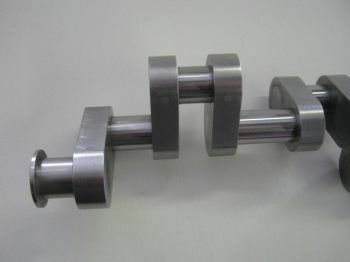 The end crank opposite the sheave is not smaller like the original but is identical size for better standardization of arm holes. If you wish to duplicate original size, request that feature. The sheave end has a keyway (specify length) The large sheave(pulley) is available from Grainger and shaft keys from any good hardware store. If you have looked at building one of these you know you could spend several thousand these days just to cast a duplicate of the original cast iron piece. Then it takes special equipment to turn down the cast iron shafts and risers which will cost hundreds or more. I priced all this and was very discouraged that I would never be able to make one. Believe me I thought making these would be out of the realm of possibility until I saw one with this design and then I found the perfect artizan to make such superb copies at an amazingly low price. 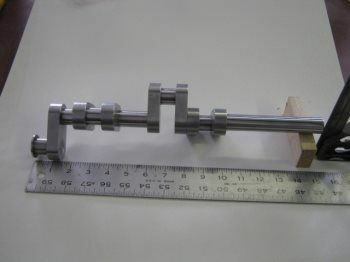 This crankshaft pictured can be made as shown for the prices below. Prices will vary slightly with your specific requirements. 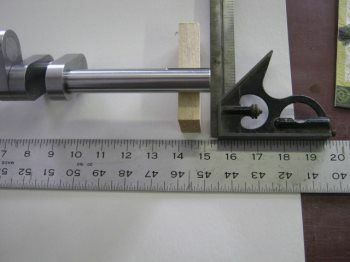 If yours needs the split miter (bevel) gear, that can be done. It will cost a bit more and will take more time as cutting the odd teeth will require a specialty shop which is not in our locale. It might be a good idea to send us your large sheave or pulley or purchase yours from Grainger and have at available at "will call" for us to pick up at the St. Louis Grainger location before we begin fabrication.